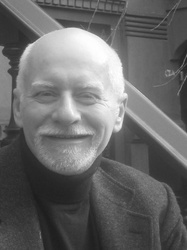 Writer Chris Claremont has encountered more success than most writers ever dream of. His stories have achieved best-seller status, won numerous awards, and are trend-setters for the industry. Although best known for his work on Marvel Comic's X-Men series, he has written other seminal characters such as Batman and Superman; originated several creator-owned series; is published throughout the world in many different languages; authored nine novels. His papers are in the Rare Book and Manuscript Library at Columbia University, in New York. His work has touched millions. His initial unbroken 17 year run on Marvel Comics The Uncanny X-Men is the stuff of industry legend. During that tenure he took a lackluster title and transformed it into the dominant, best-selling title in the industry. His run culminated with the launch of the new title, X-Men, whose first issue sold over 7.6 million copies. No one has yet come close to breaking this record. It is a conservative estimate that Chris has sold in excess of 500,000,000 comics, world wide. Chris's work on the X-Men has brought resounding creative success as well as outstanding sales. The story arc "Dark Phoenix," with its radical treatment of the story's central character, paved the way for the reinterpretation of superhero mythos throughout the comics industry. That story still resonates throughout the X-men canon. Chris is well known for his progressive treatment of women in a genre that oftentimes relies on stereotype. Active, intelligent, courageous women characters such as Jean Grey, Kitty Pryde, Mystique, Rogue, and Storm have made Chris's X-Men as popular with women readers as men. The Summer of 2000 saw the release of the feature film, X-Men, based largely on material created by Chris. The sequel, X-2, contains characters and key story elements from Chris's best-selling graphic novel, God Loves, Man Kills. X-Men: The Last Stand, released in May 2006, is grounded in the Dark Phoenix saga. X-Men: First Class used Chris's origin of Magneto, and included many of Chris's character creations, such as Sebastian Shaw, Emma Frost (The White Queen), Moira MacTaggart, and Mystique. The forthcoming second Wolverine movie is based largely on the graphic novel, Wolverine, by Chris and Frank Miller. Chris is especially proud of his creator-owed work, which includes Sovereign 7, a unique, otherworldly young adult comic series whose three-year run was published by DC Cmics; and the historic fantasies The Black Dragon and Marada, the She-Wolf (artist: John Bolton) and Wanderers: The Winter King (artist: Phillip Briones). Chris's prose novels include the science fiction High Frontier Series (First Flight, Grounded!, Sundowner), the fantasy series Shadow Moon, Shadow Dawn, Shadow Star and the dark fantasy Dragon Moon.